Posted Mar 21, 2019 by Eds. The following article, translated from Misión Verdad, is slightly modified from the original to improve readability. —Eds. A cyber attack on the computerized system at the Guri Hydroelectric Power Plant, which directs and self-regulates the entire process of generation and distribution of the country’s main plant. “The screens were black, the driving map was lost. That’s how we spent more than 36 hours,” said the president. Another attack on the computerized system of the driving brain of the state-owned electric company Corpoelec located in Caracas. “It was also blacked out, annulled, dead,” explained the president about these cyber-attacks that originated in Houston and Chicago. A third attack against the distribution lines through mobile devices, digitalized from the United States, which caused electromagnetic overloads. “They were positioned on the transmission towers and on the large cables to knock down the transmission in order to interrupt and reverse the recovery of the system,” he said. The burning down of electricity substations such as those that occurred in Prados del Este (Baruta), Acarigua, El Hatillo, among other obvious attacks against the electricity system. These type of attacks focused, by all possible means, on preventing the last stretch of service recovery from occurring with normality. This Tuesday, March 12, the Minister of Communication Jorge Rodriguez denounced that the gas supply of the Tacoa thermoelectric plant, in Vargas state, was cut off in order to provoke an explosion that could have generated dozens of deaths. “Tacoa could have supplied Greater Caracas after the sabotage, but it was damaged by this explosion,” the minister said shortly before detailing another serious attack on a transmission tower in Zulia at the time service was restored on Monday 11. One is the growing difference between what it needs to maintain it, given the constant price rise of its inputs and equipment, and oil prices that since the 1980s have not been able to match both figures. This generates a structural situation in which an electricity system created as of the “first world” is maintained with the ups and downs of raw materials sold by a peripheral country, now blocked from the financial markets. As a consequence there is another factor: the maintenance of the system is structurally affected by the economic crisis, and acts of corruption, which in the case of thermoelectric plants, aggravate the situation. And finally, the size of the system that with a stretch of more than 20,000 kilometres, including the distribution spider’s web, makes it difficult to protect from attacks and sabotage. According to Varela, this reality means that deliberate sabotage can have effects such as cutting off the supply throughout the country, if adequate resources are available to the saboteurs. In his opinion, in this way it is possible to induce a situation of paralysis, in synchrony with attacks against the generation, transformation and distribution of electricity. Or simply to promote a “disorder” that generates a cascade effect that expands the damage caused. Especially if one takes into account that the level of failures in areas such as transformation and distribution is between 40% and 60%, a very high level according to the technician. 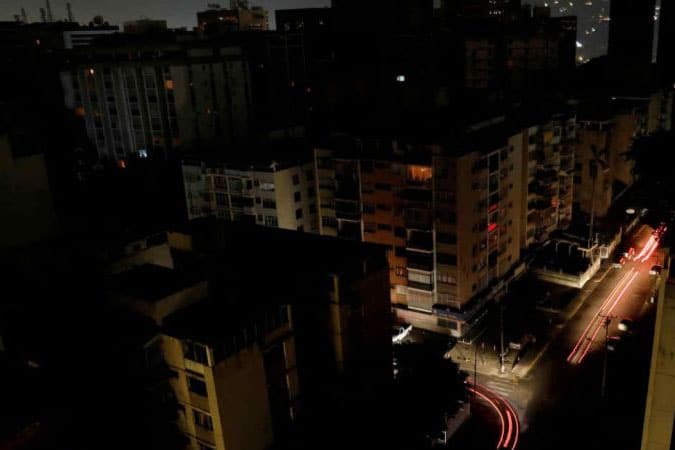 “Venezuela, as a country besieged by a form of modern warfare, is vulnerable to this type of attack at a time when, moreover, for several years there has been systematic sabotage of the electricity system,” Varela says. In that sense, one of the many attacks against the system remembered by Varela is that of September 3, 2013, when there was a deliberate failure in a Guri transmission line that left 15 states without service, as Misión Verdad reported that year. The opposition blamed the cut, at the time, on a fire allegedly caused by the lack of cutting and pruning of vegetation, according to a statement from the Democratic Unity Table (MUD), coincidentally deleted from its website. In December, close to the mayoral elections, a new fault provoked in the same line 765 would occur again in almost the same way seeking, again, to leave more than half of the country without electricity. In this context of repeated attacks against the system, Varela considers that events like these can leave the system more vulnerable and worse than before they happened. According to him, this situation makes it possible to expect other similar sabotages, exactly as Minister Rodriguez stated this Tuesday. On Sunday, Juan Guaidó, after trying the conspiracy sabotage thesis, he blamed the blackout as in 2013 on a vegetation fire that had affected the three 765 kilowatts lines between the Guri and the Malena and San Geronimo substations. The ‘self-proclaimed’, again, argued that this fire was caused by the lack of cutting and pruning in the area. According to Guaidó, the fire “reheated these lines through which passes more than 80% of the energy that goes to the centre of the country,” which would have generated a rejection of the excess load in the Guri turbines and thus caused the power cut. Las explicaciones "oficiales" son irresponsables. Según el psiquiatra que esconde al usurpador, el sabotaje fue un hackeo al sistema que controla la Red Troncal de Transmisión. Todos los técnicos coinciden en que eso es imposible por una razón simple: es un sistema analógico. Varela states that, although technically this is possible (that failures in the towers affect the turbines), it is difficult to consider this thesis as true because the transmission towers near the hydroelectric dam have a high altitude, which makes it quite unlikely that there is vegetation that grows at that height. In his opinion it also seems implausible that the Corpoelec electric linemen, in charge of checking the state of the towers, had not detected, if that were the case, the need to cut the vegetation to prevent any type of fire that would affect the line. Another weak point of this story is that if a fire had occurred, as Guaidó points out, there would be photos and videos that would corroborate this version. “It would be impossible not to have seen it,” he says. According to Varela, in addition, if the theory of the fire were true, that would not explain either that the any breakdown of the Guri would leave without supply all of Venezuela, given that it is not true that it supplies more than 80% of the country. 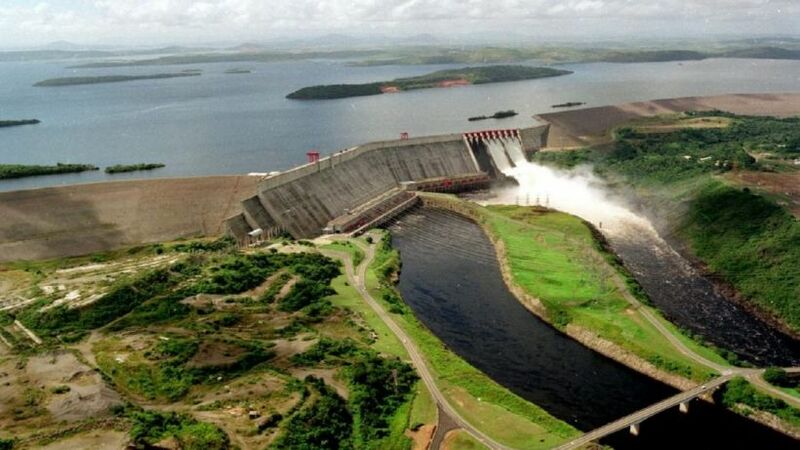 The expert affirms that, in reality, the Guri is the source of approximately 60% of the energy to all Venezuelans, while the remaining 40% comes from the thermoelectric plants and other sources of supply. The Guri dam, at Bolivar state. Photo: El País. These are not the only lies detected in Guaidó’s version, because it was José Aguilar, an anti-Chávez electricity technician, who denied that the Guri was run on an analogical system instead of a computerized system vulnerable to hacking, as he stressed in his press conference on Sunday the 10th. In 2011, journalist Ricardo Durán, assassinated five years later by a group of Polichacao officers, revealed that the technological system of supervision, control and data requisition (SCADA), used as the distribution brain of Guri and Corpoelec in Caracas, is 50% vulnerable to hacking, according to work carried out by the Venezuelan state. Unfortunately, this system, used worldwide in industries and electricity companies, had been acquired in 2010 from the Canadian subsidiary of the Swiss company ABB, one of the pioneers in this type of software. In the same year of Durán’s investigation, Dyllon Beresford, a security analyst at NSS Lab Researcher, along with independent researcher Brian Meixell, suspended a conference entitled “Chain Reactions: Hacking SCADA” at the TakeDowncom hackers’ event held in Dallas, United States. The suspension was due to a request from Siemens (the company that created the system) and the U.S. Department of Homeland Security not to reveal vulnerabilities in the system that may put at risk critical infrastructure such as dams, hydroelectric plants, oil refineries and power plants. According to The Washington Times, researchers planned to publish how they had created a cyber weapon similar to the Stuxnet virus, which in 2010 attacked the SCADA system of Iran’s nuclear facilities, to show its vulnerability. In this context, Durán identified in 2011 the main point of electricity sabotage in the distribution, was through the manipulation of Corpoelec’s computers. He cited as an example the arrest of a company worker at the La Mariposa plant, Miranda state, charged with blocking the distribution system to the central region, which caused up to seven daily power cuts in this area. This deliberate technical disruption also occurred that year in Aragua, when one of the state’s four substations was overloaded so it brought about the blocking of the system and generated power outages due to poor energy distribution. In that connection, Durán recalled that after the nationalization of Electricidad de Caracas, the majority of employees from Gente de Petróleo hired people responsible for the sabotaging PDVSA, under the modus operandi of letting in those who had signed in favour of the recall referendum against Chávez in 2004. The systematic policy of electricity sabotage, on the other hand, between 2008 and 2012 alone, accounted for 11 of these episodes among which there were cable cuts, lack of screws, fires, among many other episodes. Since Chávez’s death, in pre-electoral periods or of political tension, the attacks [have intensified] reaching…[a peak] during the street violence and barricades of 2014 and 2017, when the electricity system was attacked during Leopoldo Lopez La Salida (the Ousting) alone on more than 10 occasions. In this context, the burning of substations and explosions in power plants during the last “blackout” are not new at all because they fit into a pattern of behaviour similar stretching back several years. The difference with previous incididence is that, with an accumulated economic crisis, aggravated by the blockade and now the oil embargo, the electricity infrastructure is highly vulnerable to an attack and a subsequent cascade effect in the rest of the system, as Varela affirms when referring to the lack of alternative energy sources and the high level of failures in transformation and distribution. That is why it is easy to foresee that Washington’s strategy is aimed at taking advantage of this vulnerability seeking, once again, to disable the electricity service in such a way that critical nodes in the country’s life are immediately affected, such as the water supply, the health system, telecommunications and oil production, among other areas. After all, it is obvious that the current cycle of sanctions, together with sabotage and different forms of pressure, are intended to lead Venezuela towards a collapse that will make it inevitable that the country will fall into Washington’s hands. For now, according to Elliot Abrams of the State Department, the White House will increase the pressure against the Bolivarian Republic “especially now that there is no electricity”.